EZYLEARN HAS PARTNERED with a registered training organisation (RTO) to provide Cert IV in Bookkeeping! However, previous to this we have consciously made the decision NOT to become a Registered Training Organisation because it was surplus to our needs. In other words, not being an RTO has never stopped us helping thousands of students go through our Bookkeeping Courses — as well as Microsoft Office and Marketing Courses — and focussing on creating great learning journeys using real world scenarios. Essentially, what our students are receiving via our partnership with an RTO is more options. Those students who wish to can now undertake an online training course with a nationally recognised certificate and qualification at the end — and for some of our students, this is what they want and need. 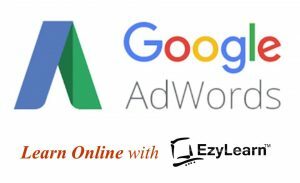 Most EzyLearn students are happy with quick enrolment, great course contents and resources, along with student support to help them get the confidence they need using software for their work or business, or to find a job and start a business. All of our cloud accounting and software training courses are accredited by BAS agents and others in the bookkeeping industry. However, there are certain things you just can’t do with a short course, such as progress along a pathway to higher education, such as a Diploma, Advanced Diploma or higher. These qualifications are important to start your own business as a Registered BAS Agent and also to climb up the ladder of success in the corporate world. 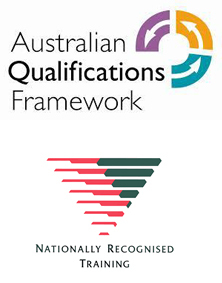 There are many accreditations available for bookkeeping courses, some are provided by the software companies themselves (Xero, MYOB and Intuit QuickBooks) while others are created by industry associations or international training associates which aim to make sure that courses are created, delivered and supported professionally. To many students, the fact that you actually deliver what you promise on your website is good enough. There is still no official Diploma in Xero but now you can do a Cert IV Bookkeeping course and learn how to use ALL the major accounting software programs! you must Pre Enrol at our Cert IV Bookkeeping website to get access to this Accredited Course at this price. I love hearing stories about people who’ve managed to start and run a home-based business, particularly in professional services like remote contractors for office admin, bookkeeping services and Digital Marketing. Our Cert IV Bookkeeping Course will definitely elevate your profile if you want to do bookkeeping for local, or even remote, clients — that is, clients located anywhere in Australia. When you complete the Cert IV Bookkeeping Course you can join our talent pool and we’ll do what we can to help you find work.